A good summer for food movies: “The Chef,” “The 100-Foot Journey,” and “The Trip to Italy” had some big-time actors but the real stars were the luscious meals. Special mention of the delicious French comedy “Le Chef,” starring Jean Reno, and “The Lunchbox” as well. A bad summer for comedies: “22 Jump Street” was uneven, but at least it had some laughs. Can’t say the same for “Neighbors,” “Blended,” “Tammy,” “The Other Woman,” “A Million Ways to Die in the West,” or “Let’s Be Cops,” excruciating and un-funny wastes of time and talent. 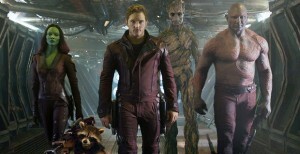 A good summer for super-heroes: “Captain America: The Winter Soldier,” “X-Men: Days of Future Past,” and “Guardians of the Galaxy” were all we hoped for in summer comic book blockbusters. “Spider-Man 2” was pretty good, primarily due to the sizzling chemistry between leads Andrew Garfield and Emma Stone. 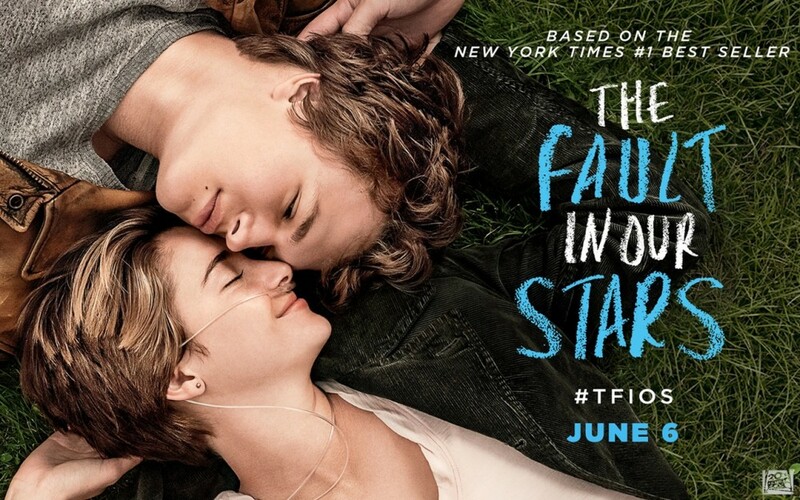 A good summer for YA adaptations: “The Fault in Our Stars” was skillfully brought to screen, with “If I Stay” and “The Giver” solid runners-up. A good summer for CGI: “Dawn of the Planet of the Apes” was a new leap forward in the realism of the motion capture and special effects, especially the expressiveness of the characters. 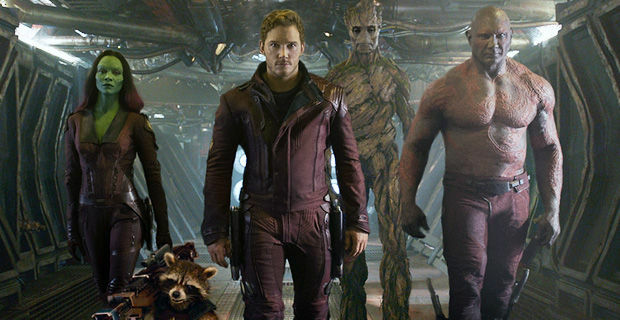 “Guardians of the Galaxy” had terrific CGI, especially Groot. A bad summer for CGI: “Godzilla” was a disappointment. We’ve had quite a string of what I call Pogo bad guys. Remember when the comic strip character Pogo looked sadly at a polluted river and said, “We have met the enemy and he is us?” I’m not sure whether it is a lack of imagination in screenwriters or a reflection of the zeitgeist mistrust of institutions, but in films like “Captain America: The Winter Soldier,” “The November Man,” and even “Let’s Be Cops,” the bad guys turned out to be inside the U.S. Government. Leonard Maltin was only 17 years old when he was offered the chance to create his guide to movies on television. For many years, I kept the latest copy on my desk and anyone who came into my office could pick a page number at random. If I had not seen any of the movies on that page, I had to buy them lunch. It never happened. I love that guide, still the best and most comprehensive resource available. And I was very sorry to hear that the 2015 Movie Guide coming out next week will be his last. Be sure to pick up a copy. And listen to his great interview with Marc Maron, where he tells the story of how it all began. 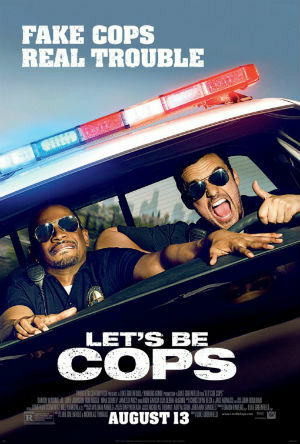 “Let’s Be Cops” is a dumb movie that wants to be like “Lethal Weapon” or “The Other Guys,” a comedy action film about buddies with badges. It’s moderate box office returns are possibly in part because the unrest in Ferguson and news stories about police brutality made the timing bad for a cop comedy. The terrific Aisha Harris had an excellent piece on Slate about the film and how it missed the chance to take advantage of its premise for some sharper — and funnier — moments. it’s interesting that the friend who sees each moment in which he somehow gets away with his fraud as the gateway to even bigger, and more dangerous (but fun!) hijinks, is white. In his own delusional world, pretending to be a cop is his path toward doing something with his life—on more than one occasion, Ryan explains to his friend, desperately, that he’s actually found a purpose in being a fake cop. Meanwhile, the friend who clearly wishes he wasn’t wrapped up in this mess is black. For him, the advantages that accompany being a cop—like the hot girl who is instantly turned on by the sight of your badge—don’t outweigh the serious jail time that awaits them once they’re found out. While the movie doesn’t interrogate the idea at all, Ryan is acting on the luxury he has as white male not to fear consequences in the same way that Justin does. Forget just impersonating a police officer—were the two of them to commit any crime in real life, Ryan would likely face a lighter sentence than Justin. I thought about this in a scene where Ryan plays a prank on Justin by pretending to be a cop calling him over, with no clue that this would be a different experience for Justin than if it had been the other way around. Damon Wayans, Jr. even has one understated line making that point, but it is just glossed over. There is a point where movies go past living in a pleasant fantasy world that takes us away from our daily cares to a point where the disregard for what goes on in the world becomes a distraction. Two hit tunes from the hottest pop divas are both called “Bang Bang.” One is Beyoncé’s sultry, glamorous cover of the Cher oldie in this teaser for her HBO special. Ariana Grande, Jesse J, and Nicki Minaj have an unrelated song called “Bang Bang” that brought down the house at the MTV Video Awards. These girls bring it. And let’s listen to the original. The football-headed Arnold and all his pals are here in this box set with all 99 adventures from the beloved Nickelodeon series. It’s available exclusively at Walmart, but I have a copy to give away! 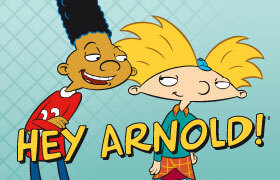 Send me an email with “Arnold” in the subject line and tell me your favorite teacher. Don’t forget your address! (US addresses only) I’ll pick a winner at random on September 5, 2014. Good luck!